There has been some debate about the correctness of this offering by Hasbro due to the card art not quite representing accurately the figure presented in the package. 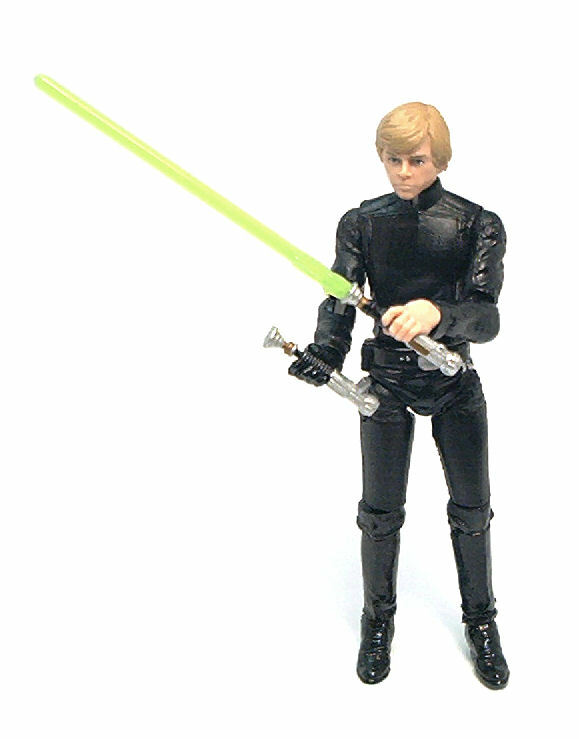 This Luke Skywalker (VC23) figure represents the character as seen in Return of the Jedi from the time he is captured on Endor to the point where Darth Vader brings him before the Emperor. 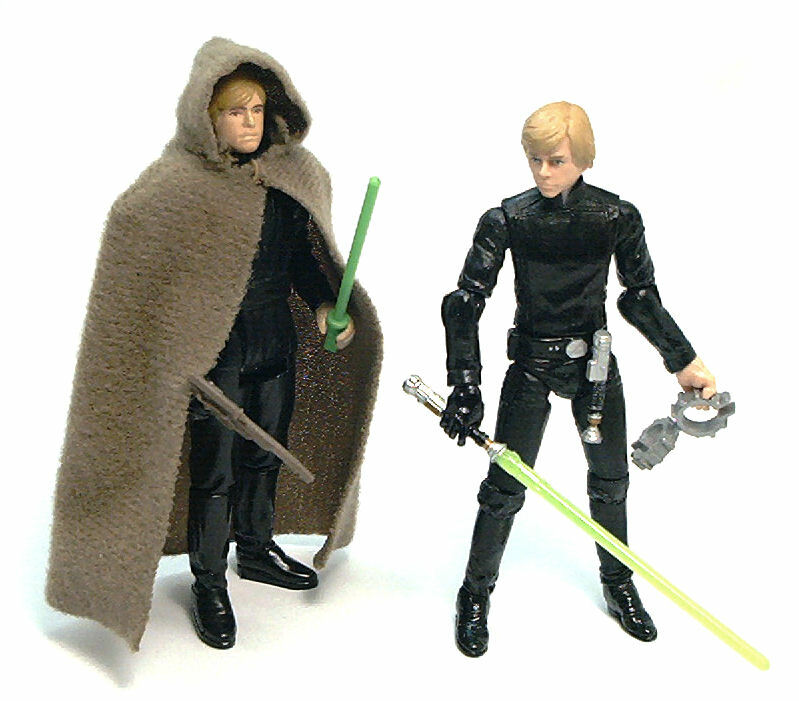 Therefore, the Jedi Knight Outfit moniker printed on the card is not actually correct because the similarly named figure from the vintage Kenner line was based on Luke’s appearance in the scenes at Jabba’s Palace. 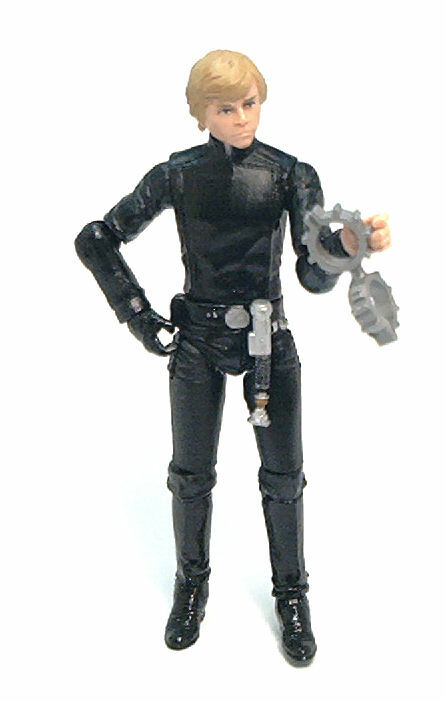 That one had a fabric cloak and a blaster pistol in addition to his lightsaber, while this one comes with a set of manacles, a lightsaber hilt and an ignited lightsaber. Suffice to say that Hasbro acknowledged the snafu and has said steps will be taken down the road to correct the situation and provide a packaged variant. With that out of the way, let’s focus on the figure. The sculpture is excellent, even though this particular outfit is not one of the most complex in the saga, consisting on black pants, tunic and boots. The base body has the proper heroic build, slim but fit, and there are realistic wrinkles and fabric-like textures sculpted onto the garments. The head sculpt is good, but not quite to the level of the two versions of Luke from the preceding Empire Strikes Back themed waves. 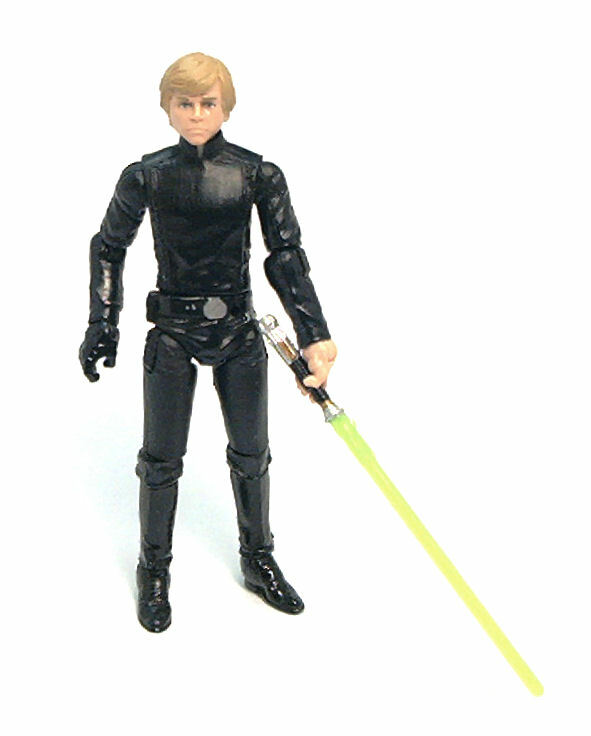 The resemblance to Mark Hamill is quite evident, even with the Kenner-like coloring, but to my eyes it looks more like a plastic rendition of Luke Skywalker as drawn by John Byrne for a comic adaptation rather than real life portrayal. This isn’t necessarily a bad thing, mind you, since at the time Mark Hamill did look as if Byrne had drawn him, with his rather wide jaw line and the Bieber-like hair. The extra wrist articulation is similar to that found on the Legacy Commander Gree or the early Clone Wars clone trooper, which allows Luke to point with his lightsaber; the hip joints allow side extensions as well as passable sitting poses. All of the joints work perfectly and are well integrated into the costume even though none of the hinge pieces have the sculpted wrinkles we have seen on the likes of Admiral Ackbar. I have already listed the accessories included with this version of Jedi Luke, but there is one thing worth mentioning. 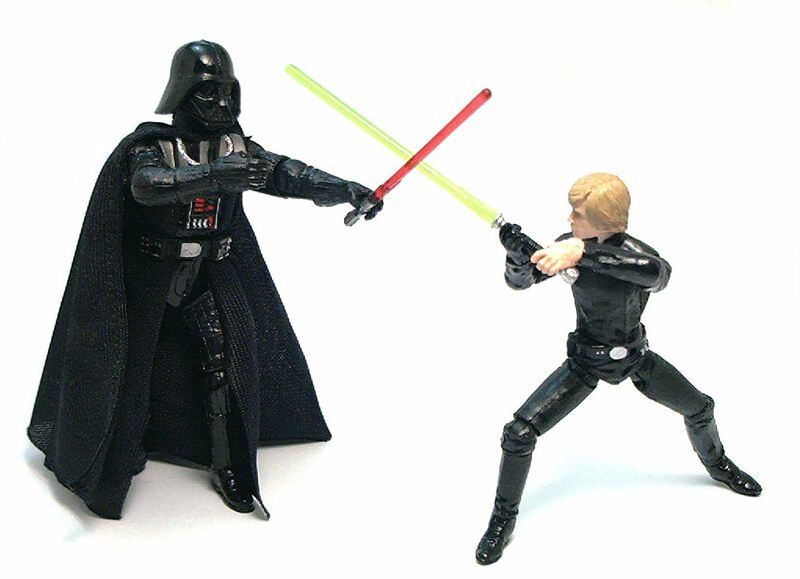 While the hilts on both the active and inactive sabers are sculpted the same, the deactivated hilt is made from a flexible material and includes a peg to attach it to Luke’s belt, while for the ignited lightsaber the plastic used was of the rigid kind and the hilt doesn’t have the peg sculpted on, which was something I found rather distracting in the Bespin Fatigues version of Luke released in the first wave of the Vintage Collection figures. 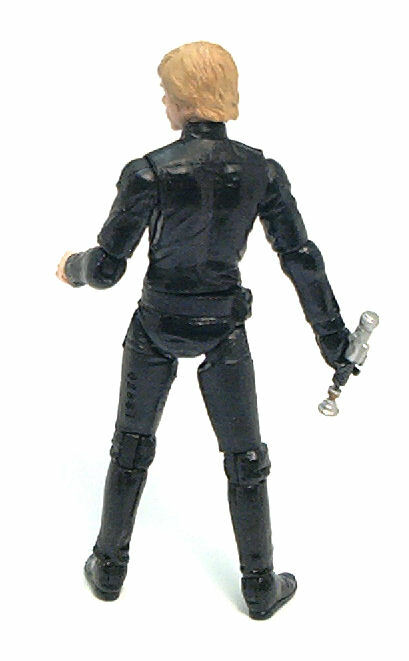 The silver rubber manacles are a straight re-pack of the accessory we got with the previous Jedi Luke from the Legacy Collection. 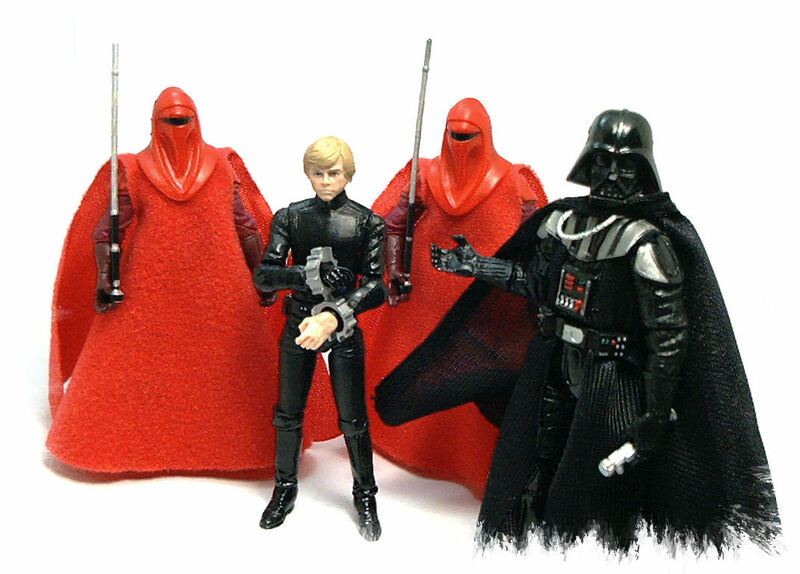 So, yes, we have been getting at least one version of a black-clad Luke Skywalker each year ever since 2007, with different accessories each time. However, there is no denying that this is the absolute definitive mold we will ever need for any future Jedi Luke Skywalker. Even with the announced running change for sometime in 2012, I would not think twice about recommending this figure to anyone.